Oro Fino was an early mining boom town established in the 1850s, in one of Siskiou County's most productive districts. Gold was mined here at both lode and placer mines, and photos suggest that hydraulic mining occurred here to a great extent. 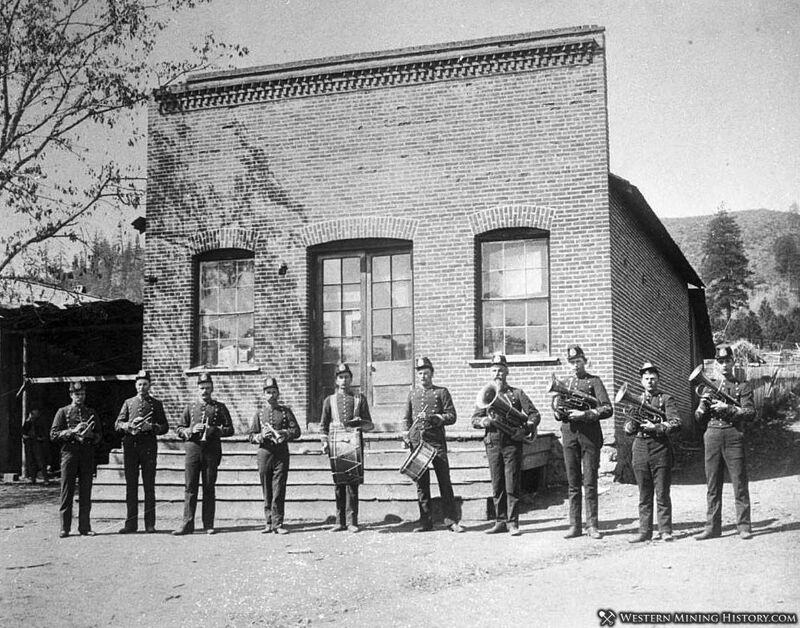 Mining here slowed in the early 1880s, but contrary to what other sources state, the town persevered until at least the 1890's, as evidenced by an 1889 photo of the local band posing in front of a brick schoolhouse, and a USGS report stating that Oro Fino had an operating stamp mill in 1893. Oro Fino translated from Spanish means "Fine Gold". Little is known about the town itself, nor the people that lived there. One site claims that a grave was discovered at the site from the 1830's, with a headstone carved from native rock, but I have not been able to verify this claim.